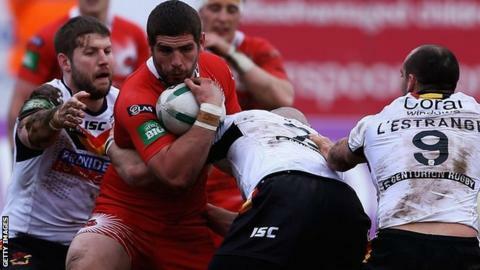 Castleford Tigers have signed former Wigan and Salford prop Lee Jewitt on a deal until the end of the season. The 27-year-old has been playing in the French Elite Championship for Limoux since leaving the Red Devils at the end of last season. Jewitt told BBC Radio Leeds: "Daryl Powell approached me last year and the deal was sorted but it fell through and I ended up coming out to France. "I can't wait to be back in Super League now." He added: "I think being out in France has refreshed me as a player and as a person and I come back now with a point to prove. "The deal has a two-year option in the club's favour so that is a great incentive for me."